For six years, Europe was plagued by a devastating virus that transformed humans into zombie-like monsters. As mankind struggled to control the pandemic, the great hope of a cure was found. However, an unforeseen enemy surfaces in its wake: the past. The cured are haunted with the memories of their actions while infected. As some try to readjust to a world that still fears them, the growing unrest threatens to plunge the world back into chaos. Full disclosure, I am not a huge zombie movie fan. For the most part - with a few notable exceptions such as Night Of The Living Dead, Shaun Of The Dead, Zombieland and 28 Days Later - this sub-genre of horror leaves me cold. However, there was something about The Cured that had me intrigued. Writer/director David Freyne’s debut feature seemed to offer something fresh - an interesting and intelligent take on the traditional zombie story. Instead of dealing with an outbreak, The Cured explores its aftermath. Instead of following the survivors, we see the world through an (albeit cured) zombie’s eyes. The resulting journey is as thought provoking as it is utterly chilling. A cure for the devastating virus has been found and most (but crucially not all) of the infected are set to return to society. Rehabilitation will be far from easy, however. The horror of the past remains terrifyingly fresh. As a result, the so called “cured” face discrimination and violence - they are pushed to the darkest fringes of society. Within this compelling political landscape, lies the more intimate story of Senan (a powerful performance from Sam Keeley). Does he deserve to return to live in his family home? Will his sister-in-law - photojournalist Abbie (a great performance from Ellen Page) - really welcome him back despite the tragedy that she has suffered? Haunted by the memories of his past, Senan finds it impossible to move on - particularly as his 'colleague in quarantine', Conor (Tom Vaughan-Lawlor), keeps appearing to remind him of his crimes. Rejected by society (and, most cruelly, by his father), Conor is a truly malevolent presence - willing to do whatever it takes to challenge the treatment of the cured and, even more pressingly, the uncured. Freyne’s film is gripping and entertaining - a worthy inclusion to a sparsely populated horror sub-genre: zombie films that are intelligent and thought provoking. That such a low budget directorial debut could breathe new life into the zombie genre is impressive indeed. 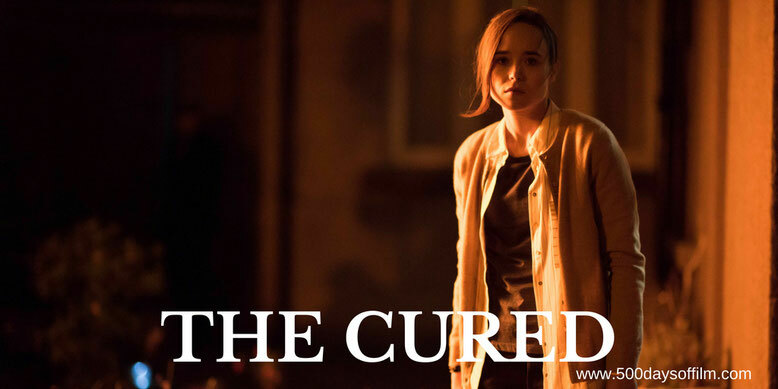 Have you seen The Cured? If you have, what did you think of this movie? Let me know in the comments section below or let’s chat over on Twitter. You can find me @500DaysOfFilm.